Elite Carpet Cleaning is proud to servicing Beverly Hills Michigan Residents. Thank you for your continued loyalty for past 21 years, thus keeping us in Business. Beverly Hills Michigan residents above all have been very generous and gracious to our employees over the past 21 years. When the residents of Beverly Hills Michigan where in need of superior carpet cleaning service. Trust our carpet cleaning business. Customers know that technicians in our company are skilled, and experienced carpet & upholstery cleaners. Beverly Hills MI Elite Carpet has become an industry leader in Michigan. Commercial cleaning service likewise Residential cleaning, service and. Carpets serviced consisting of different types of styles a Because of our extensive cleaning experience; we are dedicated to providing our clients with top-quality service. Compared to competition our prices are affordable, furthermore, our customers receive value and honesty from our employees. When you choose to work with Beverly Hills Elite Carpet & Upholstery Cleaning, we deliver solid carpet steam cleaning services, and you will always receive a free over the phone estimate from our friendly staff. As a golden rule, we provide an honest quote with no hidden fees. In comparison to most of our completion in the city of Beverly Hills MI, who mislead with bait and swatch prices and service. Beverly Hills residents have learned that, no matter what type of service they require for their carpets at home or work, the staff at elite Carpet Cleaning Company can help them. 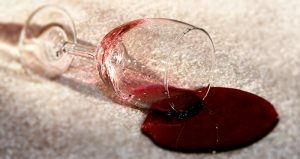 Consequently, they understand that we have years of experience in making carpet looked and smell fresh. Especially with our talent of removing the toughest spots, stains, and odors with ease. We offer our Beverly Hills customers additional services. Few Examples we offer Tile and Grout Cleaning floodwater restoration. Beverly Hills’ can be rest assured we will be in their neighborhood when needed. We have the service available to correct the situation. Most Carpet Manufacturers in Michigan recommend having your carpets cleaned every 12-18 months the system we use using hot water extraction method.